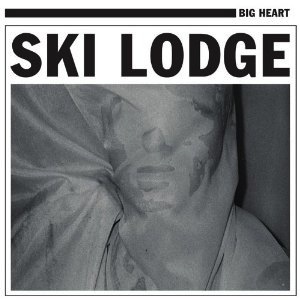 Ski Lodge‘s debut album Big Heart eddies a strange yet pleasant mixture of jangly surfer rock and Morissey – thankfully they hold the angst or else we’d all be drowning. It’s comprised of the rakish Andrew Marr, who lets loose the stoic sexiness and distant allure of James Dean in Rebel Without A Cause. Speaking of tangential movie references, the synthy-ballad ache thing he’s got going on sounds hand-picked by John Hughes for the prom scene in Pretty In Pink. Ski Lodge shines when the vocals are celebrated, such as on “Does It Bring You Down.” “It is such a shame / You were doing so well in college / You have no one else to blame / Your problem with cocaine got the best of you.” When Marr’s voice mumbles along, it’s more difficult to enjoy the emotional valleys and peaks that dynamic music can bring. Marr’s thought process behind the name Ski Lodge is fittingly dichotomous: “evoke[s] an image of being warm by a fire, alone or with friends, while outside exists the cold and cruel winter.” Washing the dance-worthy guitar and drums with his melancholic cadence can be an oddly fitting listening choice when you’re down in the dumps, but still want to dance like nobody’s watching.